When it comes to New Years Resolutions everyone thinks to make resolutions for themselves, but what about your home? HGTV has come up with 5 resolutions to follow in 2019 that will keep your home organized, clean, and ready for the spontaneous summer cookout. One of the least expensive ways to improve your home is to get rid of the clutter. Clear out the cabinets and drawers of the extra stuff that you do not need and utilize the extra space to get organized. Also, this a good time to donate any old clothes you no longer wear to make room for the new clothes you have received during Christmas. When it comes to home improvement people often think of remodeling and organizing, but keeping your home safe is another important task. Check for radon in your house and purchase a carbon monoxide detector, both of these will prevent adverse health affects, potentially even death, that is caused by these clear odorless gases. You can even make small improvements by removing the lint from the dryer every time you run it. You can save money on energy bills by turning your heat down while you sleep at night, installing LED light bulbs, only run the washing machine when you have a full load, and water your yard less. When you clean your house often you can keep the mess manageable and it will be not be as big of process every time you clean. A few tips HGTV recommends include, place your dirty dishes in the dishwasher every night, focus on one type of cleaning at a time (ex: dusting, cleaning windows, vacuuming), keep all of your cleaning products in a portable carryall that you can bring with you from room to room. An inexpensive way to make your home appear more finished is to add plants to a room, they bring in new energy and are great decorations. Additionally, adding a new accent color can freshen up a room. For more on these 2019 resolutions for your home visit HGTV’s article, https://www.hgtv.com/design/decorating/clean-and-organize/5-new-years-resolutions-for-your-home. One of the most beloved musicals of all time, Mamma Mia!, will be playing at Thalian starting this weekend! The musical, which is based on the music from the band ABBA, tells the story of friendship, female empowerment, and love. This show will have the audience dancing in their seats with hit songs including, “Dancing Queen”, “Super Trouper”, “Money, Money, Money”, and of course “Mamma Mia”. The musical will be playing at the legendary Thalian Hall starting this Sunday, December 30th through Saturday, January 19th. This show is presented by the Opera House Theatre Company. For more information or to purchase ticket visit Thalian Hall’s website http://www.thalianhall.org/event/00a0c8f34a1b4718b261985f3f8327f0#map. Brand new construction in Landfall! 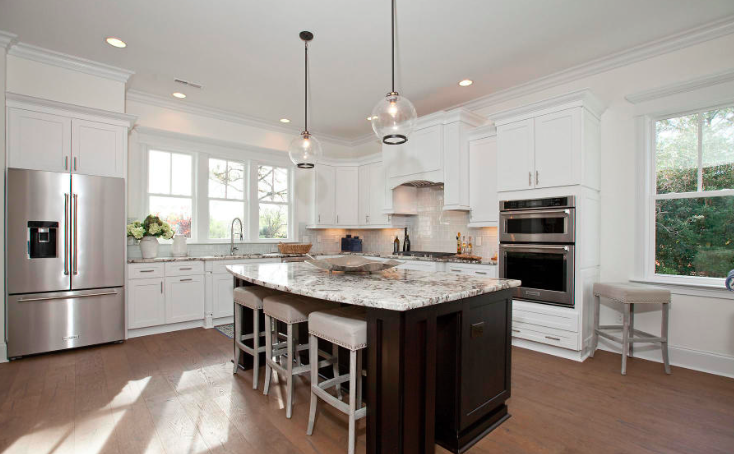 This home has been ideally designed as the ultimate open floor plan living. There is a gorgeous kitchen with a expansive center island, a large breakfast/sunroom area plus the spacious living and dining rooms. The first floor master suite features a lovely all ceramic tile bath with a shower and whirlpool. The second floor rooms include three large bedrooms, and a bonus/5th bedroom all with large closets. Enjoy entertaining on the front porch overlooking the Deepwood Pond, or relax on the covered porch. This home is a part of the Landfall community with its 45 holes of championship golf, the newly built Sports Center, with the ultimate in exercise, spin and yoga! Here you will also find the best tennis club in Wilmington! One of Wilmington’s most popular holiday events is back! Enchanted Airlie is now taking place at the stunning Airlie Gardens. 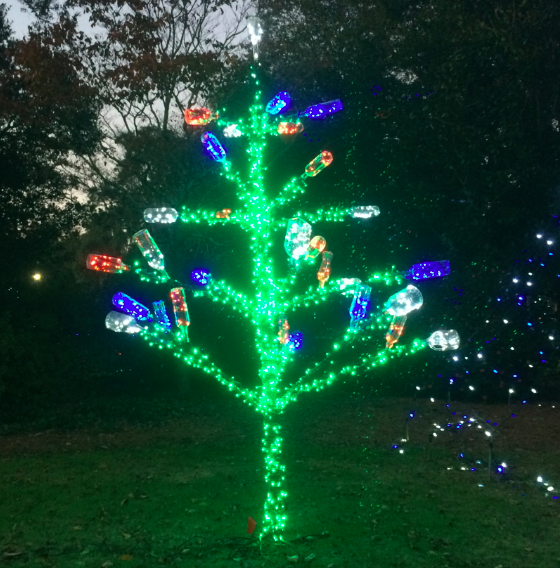 Walk the half-mile tour path around the beautiful gardens and enjoy thousands of Christmas lights, detailed displays, and views of the Intracoastal Waterway. There will also be a special guest at Enchanted Airlie, Santa Claus! Santa will be waiting to hear children’s Christmas Wish Lists and will be spread holiday cheer. Additionally, there will also be local food and beverage vendors selling hot chocolate, popcorn, beer, wine, cookies, and more! Battery Park is Landfall’s newest community! 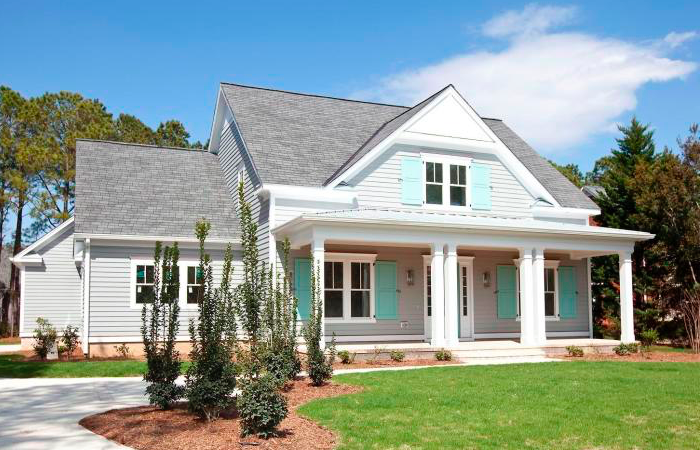 Coastal, urban designed homes on low maintenance lots, within an easy walk to the Landfall Sports Center, Wrightsville Beach, restaurants, Lumina Station Shopping and much more. These homes have metal roofs, charming shingle and siding exteriors and their own park with a lovely bubbling fountain. 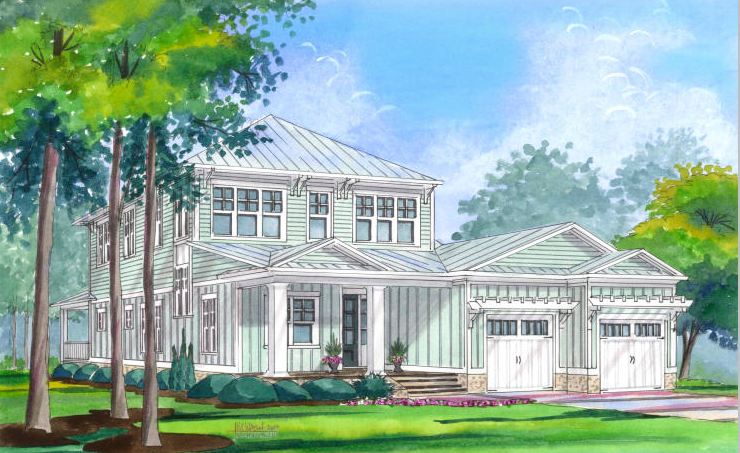 Coastal Urban designed homes feature open floor plans, great first floor master suites, and sprawling porches. This is a gorgeous home with a parkland setting full of beautiful old trees. The spacious master on the first floor is one of the four bedrooms in this large house. This new construction home, built by Venture Homes, is ready to be yours! This Saturday is the Wrightsville Beach Museum of History’s annual Jingle Bell 5K Run. This festive run/walk event encourages all participants to dress up in holiday apparel! In addition to awards for the fastest runners there will also be awards for Best Overall Holiday Costume, Best Group Holiday Costume, Best Family Holiday Costume, and Best Pet Costume. Last year there were 518 competitors and over 300 spectators enjoying the event. Proceeds from this run benefit the Wrightsville Beach Museum, which preserves the history of this special island. For more information o this fun run visit their website http://wbmuseumofhistory.com/events/jingle-bell-run/.